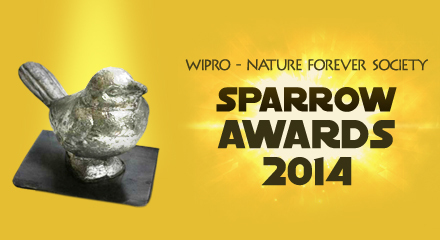 Nominations Open for Sparrow Awards 2014. The response to Nature Forever Society’s initiative has been overwhelming over the past three years. It is time again to look forward to nominations for the NFS Sparrow Awards for 2014, to recognize the exceptional contribution made by individuals and organizations who work quietly and tirelessly for the protection and conservation of the environment. So, while nominations are invited for this year, all are requested to spread the word so that news of the awards can reach far and wide.